The TV was smart and allowed me to play my USB stick. We travelled by train and the hotel is only a 10 minute walk away -- very convenient. The location is near city center and parking is easy. Breakfast is nice. Room is clean. Quite close to the main train/bus station, plus there's many restaurants nearby. Staying at the Kaiserhof was like going back to the 1980s. The bathroom, the furniture in the room, the bed. 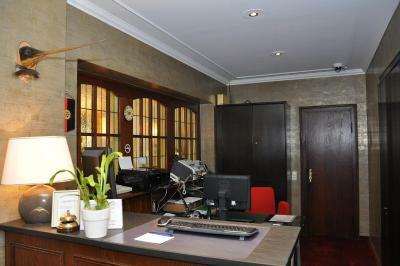 The staff and the location made up for the old age of the room and the hotel itself. The rooms were spatious with sofa and many other equipments. Comfortable bed and good heating system. 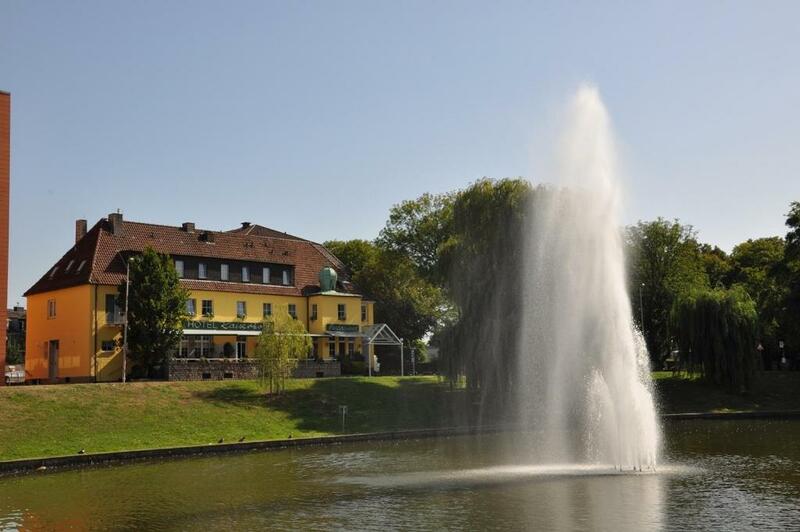 The hotel itself is a very cozy building and the location is close to a beautiful lake which is close to public transportation too. The hotel reception staff were also very kind and friendly. 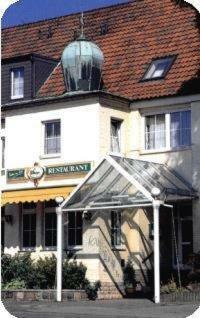 This hotel is in the middle of Jülich, less than half a mile from the Citadel Museum. It offers free Wi-Fi, rooms with a private bathroom and an elevator to all floors. 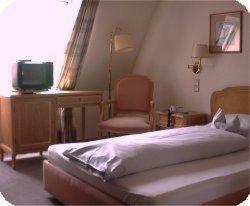 The rooms at the Hotel Kaiserhof include cable TV and a telephone. The bathrooms have a hairdryer and either a bathtub or shower. Each morning, a breakfast buffet is freshly prepared at the Kaiserhof. In the evenings, regional specialties are served in the restaurant. Guests can dine on the terrace in the summer. Free parking is available at the Kaiserhof. The heart of Jülich is just 650 feet from the hotel. 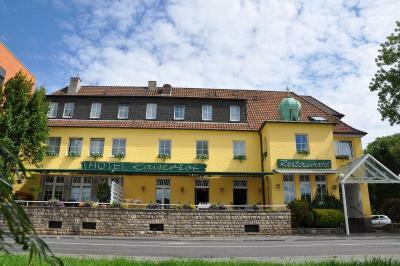 When would you like to stay at Hotel Kaiserhof? Elegant room with cable TV, free Wi-Fi and a private bathroom. Small room with cable TV, free Wi-Fi and a private bathroom. House Rules Hotel Kaiserhof takes special requests – add in the next step! Hotel Kaiserhof accepts these cards and reserves the right to temporarily hold an amount prior to arrival. The room service was awful. They did not clean the room properly and never recharged our bath equipment, even after we asked them. Only one soap during a week of stay. The bathroom lighting was inappropriate. Breakfast was average. The room had only one set of keys. The breakfast could have had a greater variety. This hotel is a real gem clean comfy & centrally located, with shops, cafes & restaurants all on your doorstep, parking on site. Hotel lovely, staff friendly and very helpful. Breakfast is fabulous, plenty of variety. Lovely quaint town with plenty to explore. When entered the room, it smelled. It needed fresh air in the room. It was very nice and comfortable. The personal was very kind. I would repeat it here. Me encantó mucho. It is opposite to one beautiful garden. Hours of staff were limited. Good old fashion German gasthof. There was no one manning the front desk for many hours. The restaurant, advertised both on booking.com and outside the hotel with alleged opening hours, had closed. The room was very small, and was furnished with only a bed, a wardrobe, a single upright chair and a desk carrying a tv so large that there was no room to write or do anything else on it. The noise from a nearby factory was audible all night. The price, at 81 Euros, was double what one would have paid for equally good accommodation in a budget hotel. But to be fair to the manager, when he saw us leaving without breakfast he deducted 12 Euros from the charge. Restaurant was closed for the evening because of a Lions Club meeting. We wouldn't choose a hotel without a restaurant. The alternative they proposed was good, though. The breakfast was okay except I like fruit for my breakfast and there was very little of that. This is a simple basic three star type of hotel. It was comfortable and fulfilled my needs. Overpriced for quality. Room Facilities, towels, bedding linen need renovation. Good location to town, parking in front of the hotel, good variety of breakfast. "Small room" was indeed very small,it was almost impossible to use the desk. Good breakfast, friendly staff, great localization, reasonable price.